Intugame VR brought Virtual Reality customization to a whole new level with its latest update. The changes and additions were just applied and include several key improvements. 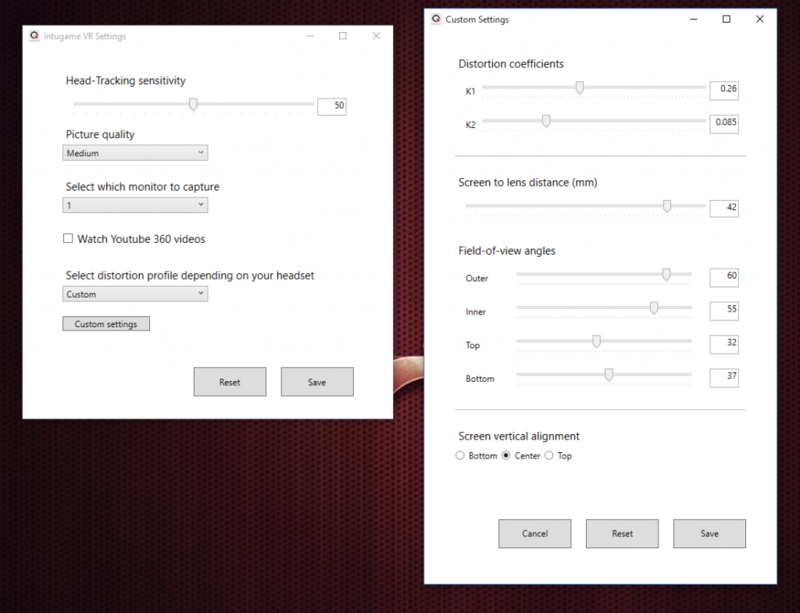 Aside from adjusting the head-tracking sensitivity, picture quality, monitor selection and watching of YouTube 360 videos, the window now offers several Distortion Profiles. They are presets for different headsets – Google Cardboard V.1 and V.2, Zeiss VR One, Samsung Gear VR and a ‘Custom’ option in case your headset needs some additional adjustment. The aforementioned ‘Custom’ option brings out a brand new window containing various Distortion Settings. ‘You can email us your custom settings and headset and we can add them to the list’, Intugame founders Krasimir Nikolov and Georgi Georgiev say. Same goes for yet another new feature – the automatic saves of Error and Crash logs. The app’s creators are waiting for users’ emails at support@intugame.com if any such accidents occur. Intugame VR now also displays the friendly PC name instead of the IP address. 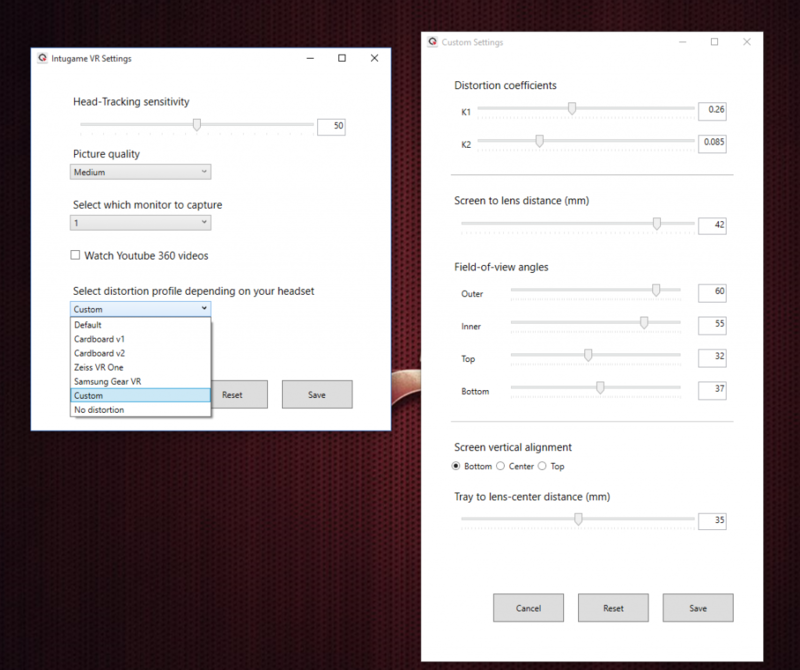 Stability is improved, too, as well as the performance when the phones resolution is higher than the desktop’s. The update arrives just a few weeks after the last one that made Intugame VR the fastest streaming VR gaming app. Krasi and Georgi promise there are even bigger news from Intugame on the way, but this is all they’re willing to give out for the moment.